This, my third Let’s Get Physical post, is once again about a region that’s not too far from me – the Australian High Country. When most people think of Australia, they think – at least I believe they do – of deserts and beaches, of red earth and golden sand. But, Australia does have a high country, albeit a fairly low one. 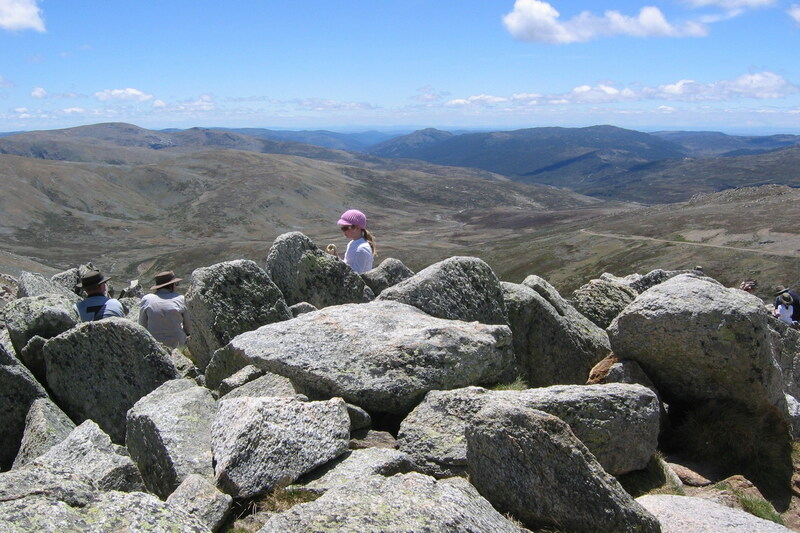 Our highest mountain, Mt Kosciuszko, is only 2,228 metres (7,310 ft) high. It is so low that it doesn’t feature in any serious lists of “highest mountains” except highest in Australia! But this is beside the point. We do have (relatively) high country, we do have blues and greens, and we have life and literature associated with them. This high country – the Australian Alps – is part of the Great Dividing Range which runs down pretty much the entire length of the east coast of Australia, some 3,500 kilometres (2,175 mi). It represented a significant barrier for the first white settlers who didn’t cross it until 25 years after they arrived … and this was north, near Sydney, where the highest point is half that of Kosciuszko! The ride chronicled in the poem takes place north of the Snowy. Its aim is to retrieve a colt which has joined “the wild bush horses”, that is, the brumbies. And this brings me Elyne Mitchell who set her famous The silver brumby series of children’s books in the high country. Mitchell, who apparently won the Canadian downhill skiing championship in 1938, ran a property in the Mountains with her husband. She wrote many books, fiction and non-fiction, about the high country. “The Man from Snowy River” and The silver brumby have spawned multiple adaptations and merchandising galore. Much of the literature associated with the high country though has been written by writers who live elsewhere. Australian environmental poet, Mark O’Connor, has written many poems about the region, including a collection devoted to it, Tilting at Snowgums: Australia’s High Country in Poetry and Photos. The collection includes his poem, “The New Ballad of The Man from Snowy River”, which “updates” Paterson’s original. Cleverly referencing this original, it takes a realistic, satiric look at “the romance” of the Snowy, addressing many issues including indigenous rights and environmental concerns. It is well worth a read. The high country is a particularly popular setting for genre authors like Tony Parsons, Judy Nunn and Jennifer Scoullar. Besides the mountains, rivers and brumbies – not to mention the snow gums – the high country is noted for its huts. Klaus Hueneke, local historian and high country expert, has written several books about the region including Huts of the High Country and Huts of the Victorian Alps. 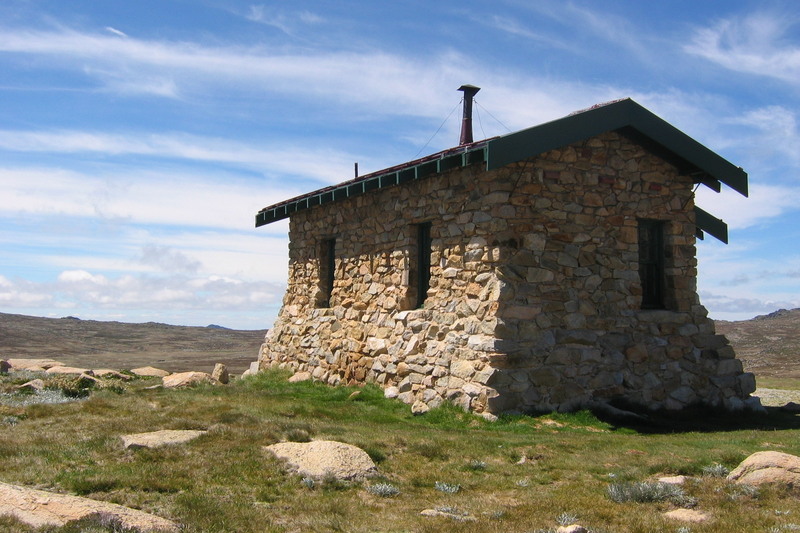 When touring the Victorian section of the High Country last year, I was rather entertained to read in the notes for The Huts Walk at Mt Hotham, that one of the huts you pass is the Silver Brumby Hut. This hut is, they say, the 2006-7 replica of the original. By original they mean the 1992 one built as a temporary prop for the film, The Silver Brumby. Ah well, I guess it’s part of history too! For those interested in film, two unforgettable movies are set in the high country: Jindabyne, which was inspired, intriguingly, by a Raymond Carver short story, and Somersault. * NOTE: When I went to school, we spelt the mountain “Kosciusko”, as Paterson spells it, but the “Kosciuszko” spelling was officially adopted in 1991 because that more accurately reflects the name’s origin. Lovely, interestingly I am working on a poem which references the crosscut saw outside of licola in Victoria. I see this post is a sign to keep working on it. Welcome Annerleigh. Sorry about the delay in replying. I’m travelling in Europe and finding it hard to manage all the communications on top of sightseeing. I’m glad the post has provided some inspiration or motivation! Would love to hear more about the poem as you get on with it. They’re great lines, aren’t they, Hannah. Glad you liked them. So what are the huts used for? Are they like little camping way stations for people out walking in the mountains? And than you for the enlightening me on what a brumby is! I thought you were probably traveling somewhere since you haven’t been posting much and You haven’t been around! Hope you are having a great time! Yes,thanks Stefanie, we are … It’s been a long time since we’ve been in Europe so it’s been fun but tiring when you try to pack do much in. Ha, ha, Arti, our mountains are toy mountains compared to the Rockies, but good for movies. Have you seen Jindabyne. I’ve been trying to see Jindabyne for a long while now. No luck downloading through eldest son. Might have to order the DVD. I did write a story inspired by a drowning I read about in Jindabyne lake, oddly enough!